Make your holiday that little bit longer by booking one of our popular Newcastle off-airport hotels for the night before or after your holiday. The proximity of our hotels to the airport means that you can enjoy a hassle-free stay and a great night's sleep without having to travel far. Furthermore, all of the Newcastle airport hotels we sell allow you to add a great value parking package. Book with us today to enjoy savings of up to 40 per cent. An off-airport hotel is not situated within the airport grounds, but just a short distance away. All of our Newcastle off-airport hotels offer transfers from the airport to the hotel. The advantage of an off-airport hotel is that youll be sure to get a good rest away from the hustle and bustle of the airport, and all for a great price. Booking in advance is the best way to ensure that you get a great deal. By booking as early as possible, not only are you more likely to find the perfect room for you but you could also save up to 40 per cent. It also means you can relax and look forward to your holiday with peace of mind that everythings organised. And whats more, all of our prices are monitored so we're Never Beaten on Price. If you find your package is cheaper elsewhere, well refund the difference - terms and conditions apply. Which off-airport hotels are available in Newcastle? We have three off-airport hotels on offer at Newcastle airport. If great value is your priority, the 3-star Holiday Inn will provide you with a clean, comfortable room at a great price. All rooms are decorated to a high standard and youll be able to take advantage of the leisure facilities, which include a gym and swimming pool. For a little more luxury, we have two 4-star hotels. 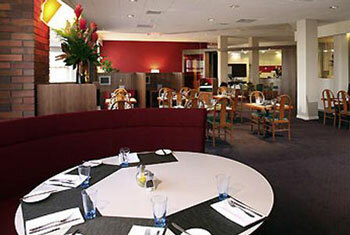 The Novotel at Newcastle airport has a modern bar and a restaurant serving breakfast, lunch and dinner. There are also fantastic leisure facilities including a fitness centre and swimming pool with sauna. 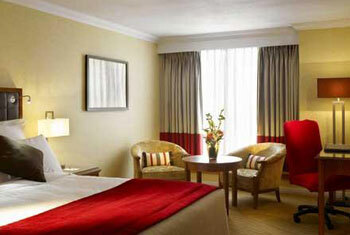 The Newcastle Marriott Metro Centre hotel is near to both the airport and the city. The rooms are decorated to a high standard and the staff provide excellent service. This hotel is a great choice if youre looking to start your holiday in true style.